We are absolutely delighted with the product and the service. We have had 4 areas done with the brown and the cream over the last 2 years and couldn’t be more pleased. On seeing ours, 2 different friends have done the same and we are all thrilled…no more painting or wind damage. These fences have not moved an inch during the gales and we know they never will. Sharone and his team are true professionals, we have never had service quite like it. We can’t understand why the country isn’t covered with these smart fences instead of creaking timber panels! Brilliant product and excellent staff. My whole garden is now beautifully furnished with this fencing! No more painting for me and no more worries about windy weather. So pleased! We’re absolutely delighted with our new fence, which has totally transformed our garden space. It’s good quality and looks as good as it does on the website. Many thanks to Ollie and Josh, who did a fantastic job fitting it (only on one cup of tea!). Great product, very fair price and friendly, efficient service. I had a guy come to the door today, he had a quote from you and as agreed he was using me as a reference. I told him it was in the top three purchases & decisions I have ever made and expressed my respect for your work ethic, attitude and professionalism, etc. so hopefully you will get the sale. To view more testimonials, please view your nearest franchisee’s website. 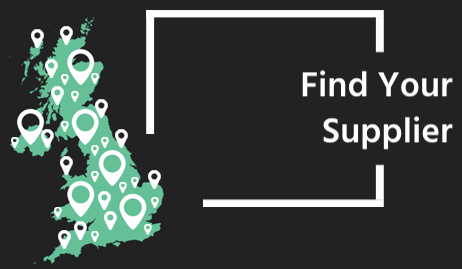 Find them by simply putting the first 3 digits of your postcode into our supplier finder.